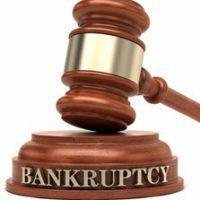 Can You Discharge Homeowners Association Dues in Bankruptcy? Homeowners associations (HOAs) are popular in Florida. For the pleasure of living in a planned community, however, you need to pay dues to the HOA, which can sometimes exceed thousands of dollars a year. Homeowners who fall behind on their dues often ask us whether they can get rid of them in bankruptcy. Often, they ask this question after being sued and realizing they have no money to spare. Generally, you can get rid of unpaid HOA dues, but you’ll need to surrender your home or condo in the process. If you dislike this option, you can choose a more favorable bankruptcy to file. Chapter 7 is a liquidation bankruptcy. As regular readers of our blog know by now, a Chapter 7 is a quick and easy way to wipe out certain unsecured debts. In exchange, the trustee can sell non-exempt property and send the proceeds to your creditors. Are HOA dues an unsecured debt you can discharge in Chapter 7? No. For one thing, the HOA might have a lien on your property for unpaid dues. If they do, then these unpaid dues are a type of secured debt. If you choose to give up your condo or home, then you can discharge the unpaid dues. You will not, however, be able to discharge any unpaid dues that accrue after the date that you file for bankruptcy. Imagine you pay $200 a month in dues. When you file for bankruptcy, you have $4,000 of unpaid dues, but you decide to surrender your home. You can get rid of $4,000 in back dues. Nevertheless, so long as you still own the home, you will still accrue HOA fees going forward, which you cannot discharge. You have to pay them. So if it takes the 3 months for the home to sell, you’ll owe 3 months of HOA dues. However, few people want to give up their home. In this situation, you typically need to pay your back dues, otherwise the HOA can foreclose on the property. You can spread out back HOA dues over the length of the repayment period, which gives you more time to get current. The automatic stay will keep the HOA from foreclosing on the property while the bankruptcy is open. Of course, you will still be responsible for keeping up with your HOA dues as they accrue going forward. If you don’t, you could soon find yourself in foreclosure since the automatic stay will not protect you from post-petition debts. If you have mounting HOA debt, a bankruptcy might be just what you need to help you regain your footing. At Nowack & Olson, we have helped countless home owners in South Florida obtain a fresh start, and we are available to meet with you. We can review your current debt situation and help you chart a new path forward. Please contact us today. To schedule a free consultation with one of our bankruptcy attorneys, please call 888-813-4737.